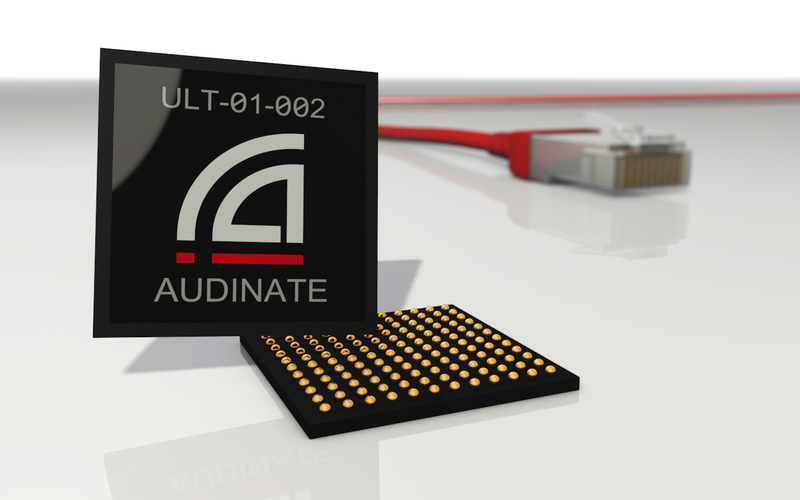 Las Vegas, NV — Audinate, developer of the industry-leading Dante® media networking technology, today announced the availability of Dante firmware 4.1 for the Ultimo UXT family of audio networking chipsets. The Ultimo UXT chipsets bring Dante audio networking to 2 and 4 channel count products, and is currently implemented in hundreds of AV products, including powered speakers, microphones, AV wall plates, amplifiers, paging stations, personal monitoring systems, recording interfaces, intercoms, and analog/digital break-in/break out interfaces. This Dante Ultimo firmware update now adds the ability for these products to send audio streams to other non-Dante products that use the AES67 standard. Audinate released AES67 support last year in its Dante Brooklyn II, Dante Broadway, Dante PCIe, Dante MY-16, Dante HC, and Dante IP Core products. The Dante platform is the dominant audio networking technology that has been adopted by over 400 AV manufacturers, and implemented in over 1400 commercially available products. Underscoring Audinate’s support of new standards within the Dante platform, the company is also announcing support for SMPTE 2110 across the entire Dante platform.